Production and Designgraduate Christian Peterson is now touring the world as a sound engineer with Cirque du Soleil. 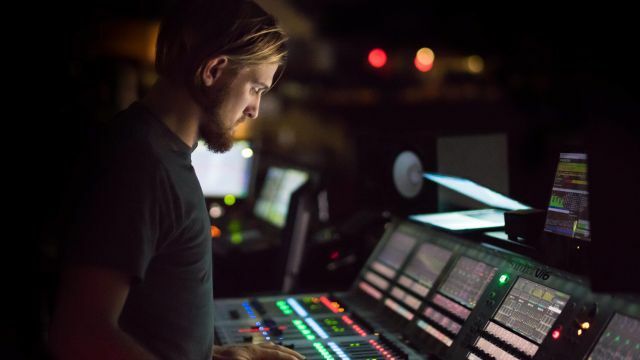 According to WAAPA, graduates from the Sound and Lighting courses invariably have no trouble finding immediate employment. When did you decide you wanted to be a sound engineer and why? I recorded my band’s EP when I was 15 that I really got into sound. I bought some microphones, a little mixer and software to record it and it was all done in my bedroom. to now, though you have to start somewhere. It’s interesting that a lot of legendary music producers recorded their first albums on only four-track cassette machines and now any kid who has an iPad ora laptop can produce, mix and export an entire album to the world. What did you enjoy most about your studies at WAAPA? The real highlight was working on the shows; they’re all student run and I think that allows students a level of ‘make it yours’. That’s crucial for transitioning into work outside of WAAPA, where project management and collaborating with other people and departments is a skill everyone needs. The lecturers we had were awesome and many of them have become colleagues and great friends. How did the gig with Cirque du Soleil come about? lived in Perth and they happened to need an extra hand in the sound department. Right place at the right time, but had I not asked, it may never have happened! What does your job at Cirque du Soleil entail? I work as a PA Tech [Public Address Technician, known in Australia as a Systems Technician] in the Sound Department; my role involves designing, rigging and tuning the sound system for each new venue we arrive in. On arena tours, we move every week and each venue has its challenges in acoustics, audience seating, height/weight restrictions, etc. I also mix the show as backup to the Head of Sound and a lot of my week is spent on projects, whether new or maintenance. On this show I have over 150 speaker cabinets to maintain, rig and tune, and the stage has audience on either side, so it’s quite unique in its design. We have an eight-piece band as well as artists and props mic’d on stage. There’s a lot of wireless systems, whether it’s microphones, in-ear monitoring for the band or comms for the technicians. The show takes a day to load in and have ready for performance, and it’s all packed up in under five hours, but we’ll have that down to even less, soon. I am on Corteo, that's just begun its North American arena tour, since it’s a remount of a big top show. We spent a few months in Montreal (where Cirque is based) and Quebec City designing and building the show, and since then we’ve opened in New Orleans and (at the time of writing) are about to load-in to Houston. 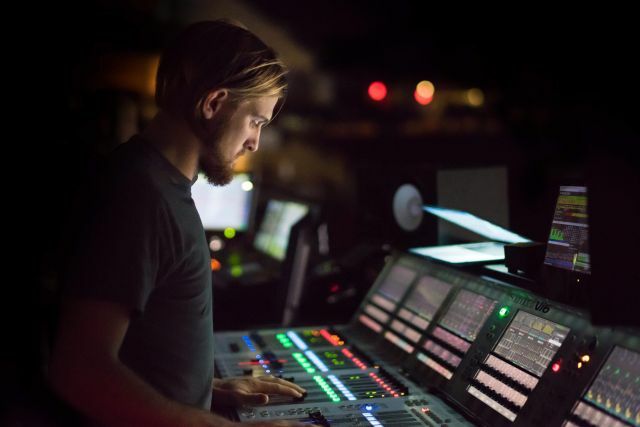 What do you love most about being a sound engineer? I really enjoy the mix of creative and technical work that is involved in sound engineering. Some days I’m behind the console mixing a show based on the emotive and acrobatic content on stage and other days I’m rigging the speakers, making cables and loading trucks (and there’s no shortage of trucks...). Sound is very subjective and we all respond to it differently, so if an audience walks away applauding and happy, then that makes it worth the work. Ultimately what we do is a service, and I’m very thankful that I get to do what I love. You have to enjoy working in a team environment as, like any career, the biggest challenges are often to do with people. Luckily I am surrounded by a great team at Cirque, with people from all around the world!